In marketing, Coupon is a document or certificate that can be redeemed against a discount or rebate when purchasing goods. There are different types of coupons like printable coupons, online coupons, promo links and bank offers. 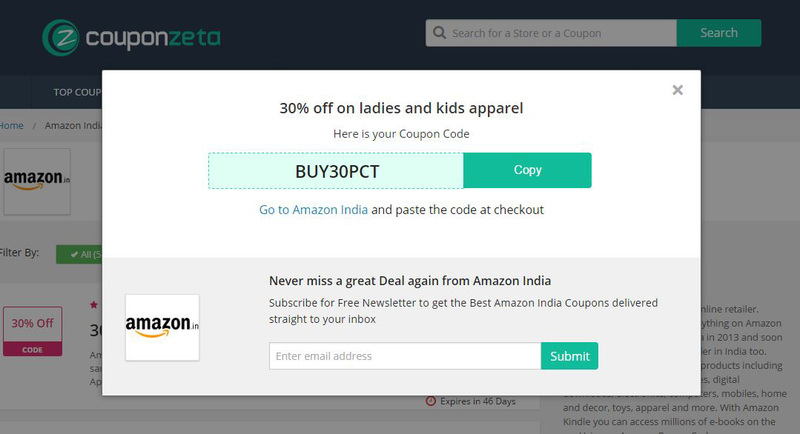 Coupon Code is a code consists of letters or numbers that a consumer can enter it into promotional code box in merchant’s website to redeem a discount when purchasing products. Coupons are generally issued by merchants or manufacturers to give the consumers discount when purchasing products from them. Coupons are mainly distributed through Coupon or Deals websites and sometimes through mail, magazines, newspaper and social media. Coupons are issued by merchants as a part of their advertisement or promotional methods. As every customer wants to save some money on their purchase, the coupons market is getting more and more popular. Whenyou shop online, you may see a box to enter coupon code during checkout, don’t skip over it or you will miss out on a chance to win big savings. Below we will show you how to use a Coupon Code to get discounts in detail with pictures. 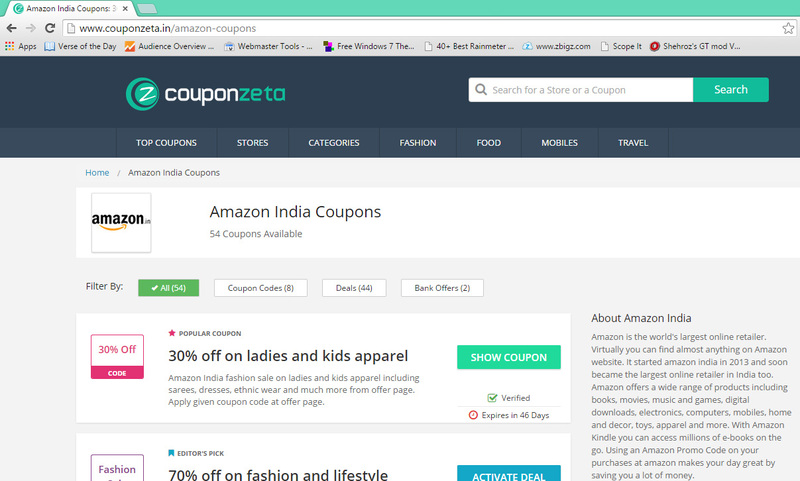 Go to https://www.couponzeta.in and enter the store name you would like to buy products to search for your favorite coupons. 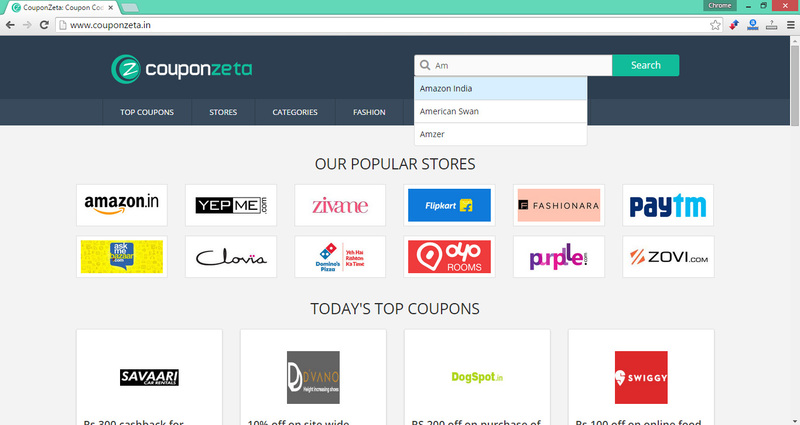 Browse through the collection of your store coupons and find the right one you need and read complete description of the coupon and Terms & Conditions. Once you choose the Coupon, click on the Coupon Code and copy it. 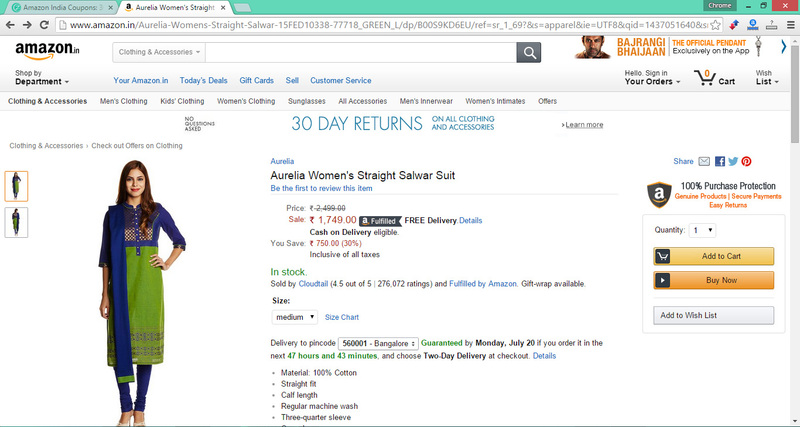 Now head back to the online shopping website and add the product to cart and go to check out page. In the checkout page, paste the Coupon Code and click ‘Apply’ to get the stated discount on your purchase and complete the payment process. That’s it, Have fun. If you have any doubts regarding the use of Coupons, please Contact us.